Who decides what's normal, anyway? If you're tired of reading Snugglepot and Cuddlepie or The Faraway Tree to your little ones, perhaps add Who's Got A Normal Family? to your list. 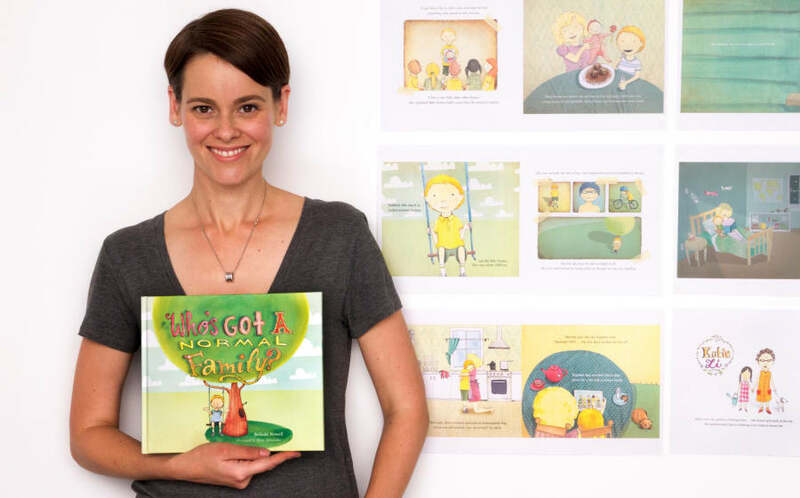 Written for preschool and early primary school children by first-time author, Belinda Nowell, the kids book challenges the structure of the conventional nuclear family and aims to be fully representative of family life in Australia. The book introduces readers to Alex, who is over the moon when he gets a new foster sister. But when school bully Jimmy Martin tells him his family isn't normal, things take a turn. "I'm a Perth girl and when I was little my parents ran out-of-home care facilities in regional WA, so as a young child I thought it was perfectly normal to live with 20 other kids," author Belinda Nowell told The Huffington Post Australia. "I began acting relatively young but left acting because I wanted to write. I wrote Who's Got a Normal Family? after I left my TV production job to have my first child. The manuscript did the rounds of the publishers and everyone passed, but I still felt the story was relevant. The illustrator, Miša Alexander, had already sketched the hero Alex so I thought if she is willing to come on this crazy journey with me and illustrate, I'll back the book myself and co-publish. Thankfully, she said yes!" 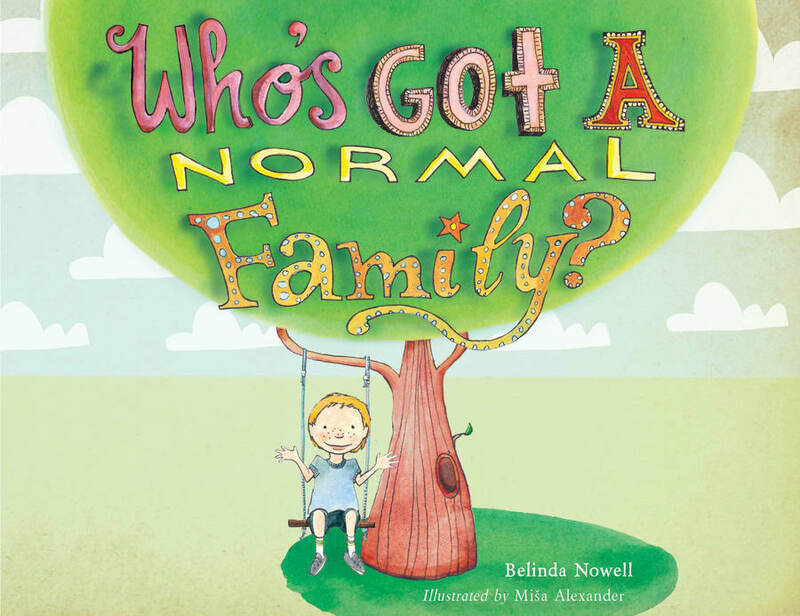 Nowell persevered with getting the book out there as she felt it was important to normalise foster care and also emphasise that no family is 'normal'. "I wrote it because my mother was on the board of the WA Foster Care Association and I was inspired by the wonderful work of the women on the board and the carers. I wanted foster kids to see themselves and their foster families in the book but as I wrote I realised there were so many children in so many different families," Nowell said. "My own family, for example, was what you'd call complex. My parents divorced, remarried, had more children and now I have five beautiful siblings. My youngest brother was born when I was working overseas. I clearly remember bawling my eyes out in happiness when I got the call. He's just graduated high school and, along with my mother, is coming to live with us in Sydney next week. The cycle of complex households continues!" Nowell hopes that exploring the topic of acceptance from an early age ushers in new generation well versed on acceptance. "When I was eight, I was one of two kids in my year who had divorced parents but, as the child of two social workers and an incredibly strong mother, I thought that was normal. I never felt any different. As children start school, make new friends and pester everyone for play dates, I hope they remember the moral of the story. In my view the term 'normal' in relation to families is indeterminable so inclusion and diversity are strong themes but the heart of this story is love. All families are different, and that's the most normal thing of all," Nowell said. Since its launch in 2016, Who's Got A Normal Family? has been added to both the NSW and VIC Premier's Reading Challenge for 2017. Available for purchase here.